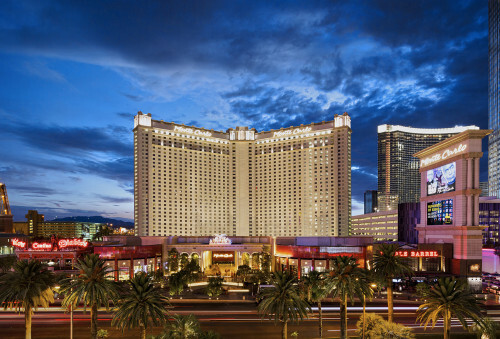 MGM Resorts International and New York-based Sydell Group have announced a partnership to reimagine and rebrand Monte Carlo Resort and Casino. The approximately $450 million transformation, which will touch every element of the property, will include two distinct hotel experiences: A Las Vegas version of Sydell’s widely acclaimed NoMad Hotel, and the launch of a new luxury hotel named Park MGM. In addition to fully redesigned and renovated hotel guest rooms, each hotel will feature innovative and exciting food & beverage experiences unique to the Las Vegas market, including the award-winning NoMad restaurant by Chef Daniel Humm and restaurateur Will Guidara; and Eataly’s vibrant Italian marketplace with cafes, to-go counters and full-service restaurants interspersed with high-quality products from sustainable Italian and local producers. Park MGM and The NoMad Las Vegas become the final pieces of MGM Resorts’ complete neighborhood redesign of the central Las Vegas Strip neighborhood, which began in 2009 with the introduction of CityCenter and saw the recent unveiling of The Park, a spectacular outdoor dining and entertainment district, and the stunning new T-Mobile Arena. For more information, contact Natalie Mounier, Kirvin Doak Communications, nmounier@kirvindoak.com​. Lucky Dragon Hotel & Casino has launched its website, LuckyDragonLV.com. The new website currently features news about the property and an online employment center. In conjunction with the website launch, the property is now accepting applications for positions throughout the organization. Lucky Dragon will fill over 800 positions prior to opening later this year. The resort will be the first in Las Vegas to have a focus on Asian culture. Eventually, the site will handle hotel room bookings and provide additional information about the property’s culinary offerings, gaming, special promotions, entertainment, retail and more. For more information, contact Rachel Henry, Kirvin Doak Communications, luckydragonpr@kirvindoak.com​. The 50th anniversary celebration is officially underway at the world-renowned Caesars Palace in Las Vegas. On Friday, June 17 the resort unveiled its 50-day countdown to its golden anniversary on August 5, 2016. Caesar and Cleopatra kicked off the “Summer of Caesars” festivities which included the debut of the self-guided walking tour and photo exhibit, surprise and delight moments for guests and the unveiling of specialty dining and value menus to honor the golden anniversary. Caesar and Cleopatra were joined by year-one employees and Caesars Palace executives on Friday for the official debut of a self-guided walking tour and historical photo exhibit which will be on display throughout the summer and is free and open to the public. Floor markers will help guests discover each of the photo-worthy Caesars Palace locations, including “The Five Lucky Spots” to touch for good luck. A number of additional 50th anniversary events and promotions are planned in the coming months. For more information, contact Adrienne Prather-Marcos, Caesars Entertainment, aprathermarcos@caesars.com​. Victory Hill Exhibitions’ (VHE) global, interactive experience – Avengers S.T.A.T.I.O.N. (Scientific Training and Tactical Intelligence Operative Network) – is now open to the public at Treasure Island Hotel and Casino on the world-famous Las Vegas Strip. The Las Vegas opening comes shortly after Marvel’s movie smash “Captain America: Civil War” took the world by storm, debuting in the United States on May 6 and grossing more than $1 billion worldwide to date. The Las Vegas attraction includes an interactive journey through the Marvel Cinematic Universe, allowing guests to engage with the Hulk, Captain America, Thor, Iron Man and additional Avengers icons throughout. The experience also includes original props and costumes from legendary Marvel films, including a ten-foot Hulkbuster, Bruce Banner’s laboratory, Captain America’s motorcycle and much more. For more information, contact The Firm Public Relations and Marketing, victoryhillmedia@thefirmpr.com​. On any day, the number one question asked to a gondolier at The Venetian Las Vegas is, “How can I become a gondolier?” Now, guests will have the opportunity – if only for a few hours – through the resort’s new Gondola University. The new program, limited to nine participants per day, begins with a primer on the history of Venice, the city famous for its aquatic transportation and the inspiration for The Venetian Las Vegas. Participants will then learn the “ins and outs” of piloting a gondola, before going through “Rowing 101,” the hands-on experience where participants will actually row their own vessel. The experience ends with an official Sash and Scarf Ceremony, modeled after the actual ritual used by The Venetian Las Vegas when new gondoliers earn their stripes upon completion of training. Participants also receive a gondola hat and t-shirt, a souvenir photo and a degree certificate from Gondola University. For more information, contact Elaine Chaivarlis, The Venetian Las Vegas, elaine.chaivarlis@sands.com​. In early 2017, brothers Michael Morton and David Morton will introduce an entirely new steakhouse concept at the Hard Rock Hotel & Casino Las Vegas. The Morton family knows steakhouses. Arnie Morton founded Morton’s The Steakhouse in 1978; and the restaurant is still perhaps the best known steakhouse in the United States. Michael reinvented the steakhouse with the opening of N9NE Steakhouse in 2001, bringing a party vibe to a dinner out. The new steakhouse will occupy approximately 7,000 square feet at the Hard Rock Hotel & Casino with all-new construction in the southwest corner of the property. For more information, contact Daniel Coffey, Wicked Creative, daniel.coffey@wickedcreative.com​. Fremont Street Experience and Tiësto officially premiered the newest Viva Vision show, Tiësto – A Town Called Paradise, on Thursday, June 16 during EDC Weekend in Las Vegas. The new light and sound show is built around the music of iconic Vegas DJ Tiësto. The show title pays homage to his 2014 album A Town Called Paradise, and features three songs hand-selected by the artist himself – “Secrets,” “Red Lights” and “Wasted” – custom-synced to stunning graphics. For more information, contact Rachel Diehl, Preferred Public Relations, rachel@preferredpublicrelations.com​. After a multimillion dollar renovation adding brand new resort-style furnishings, a wet deck, hot tub, refurbished outdoor recreation space and its own food truck, the rooftop Pool at the Plaza will celebrate its grand opening with festivities for hotel guests and the general public on Saturday, July 2. The entire renovated pool deck encompasses approximately 70,000 sq. 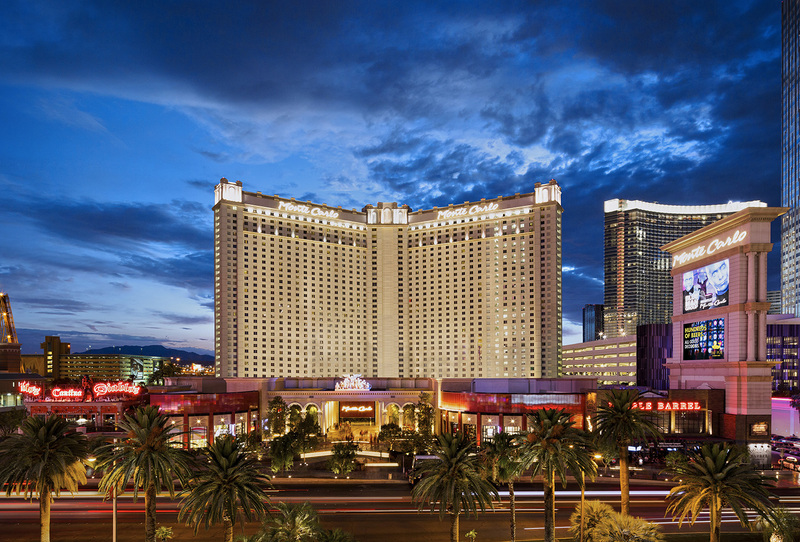 ft., making it one of the largest in downtown Las Vegas. The Pool at the Plaza is a “retro Palm Springs-meets classic downtown Las Vegas” inspired outdoor space. The renovations refurbished and redesigned the pool to include a wet deck with several lily pad daybeds. The Plaza also added a 12-person hot tub, new chaise lounge chairs, greenery, gaming, and multiple dining areas with a new bar and several food options, including the pool’s own food truck. Six brand new cabana suites available for rental provide guests with a private poolside retreat, complete with televisions, fans, refrigerators and safes as well as a complimentary fruit plate and cheese and cracker tray. The renovations also refurbished adjacent tennis and basketball courts and added dedicated Pickleball courts, making the Plaza the only hotel/casino in Las Vegas with dedicated courts for this fast growing sport. With space for a stage, the Plaza plans to offer a lineup of live entertainment to include weekend DJs, concerts and special events. For more information, contact Amy Maier, Faiss Foley Warren, amy@ffwpr.com​. Hard Rock Hotel & Casino Las Vegas recently opened Nevada’s first Goose Island Pub. Goose Island Beer Company is an innovator and leader in the craft of brewing, and the resort will offer eight of its signature beers on tap, bottles of Bourbon County and a wide selection of wines, liquor and pub-style food. Each Goose Island beer strives to define style and captivate the hearts, imaginations and palates of beer drinkers. For more information, contact Amanda Brophy, Kirvin Doak Communications, abrophy@kirvindoak.com​. The High Roller recently introduced the destination’s most unique way to experience yoga, atop the world’s tallest observation wheel. Rising 550 feet in the air, these extraordinary sessions will allow guests the only chance in Las Vegas to find their Om while enjoying the breathtaking, 360-degree views of Las Vegas. The experience includes a one-hour yoga session (two rotations) with an instructor from Silent Savasana and up to six guests per cabin. Guests will be guided through the experience by wearing a headset that allows them to hear the instructor and music. This technique allows riders to have a more individualized, soothing and focused session while taking in sweeping views of the Las Vegas Strip and skyline. Guests are welcomed to bring their own mat or borrow a mat provided by lululemon athletica at Fashion Show Mall. They’ll also receive a High Roller-branded water bottle that’s perfect for workouts on the go. For more information, contact Adrienne Prather-Marcos, Caesars Entertainment, aprathermarcos@caesars.com​. The Clark County Department of Aviation enlisted the expertise of the American College of Sports Medicine (ACSM) for the launch of its new FLY FIT walking program at McCarran International Airport. FLY FIT is the first airport fitness program created in partnership with the ACSM and was designed in response to “Step It Up!,” the Surgeon General’s call to action to make walking a national priority. Fly Fit encourages walking as a way to fitness by sharing with travelers convenient walking paths located throughout McCarran International Airport’s terminals. Presented in multiple segments, these paths range from approximately one-half to one-and-a-half miles long with options in areas both before and after security screening checkpoints. For more information, contact Christine Crews, Clark County Department of Aviation, christinec@mccarran.com​. After much anticipation, Drybar will open in Las Vegas this month. Drybar’s refreshingly simple concept: “No cuts. No color. Just blowouts,” has captivated a legion of loyal clients nationwide. Now Drybar is opening a flagship shop on Las Vegas Boulevard in the Miracle Mile Shops. This 2,797 square foot location, the brand’s largest footprint to date, will consist of 20 styling chairs and will feature all of the signature elements that define the unique Drybar experience. However, exclusive for Las Vegas, Drybar Miracle Mile will have its own built-in DJ booth, a full bar and photo booth, as well as an Event Manager to host and plan parties for all occasions. The Las Vegas shop aspires to be the ultimate “pre-party” destination. For more information, contact Sheena Martin, Magnetic Public Relations, sheena.martin@magneticpublicrelations.com​. The Adventuredome at Circus Circus Las Vegas recently unveiled two new theater experiences set to entertain visitors of all ages. The mammoth new 4-D theatrical experience Ice Age: No Time For Nuts 4-D inside the F/X Theatre is an eye-popping adventure following the beloved pre-historic squirrel Scrat on an epic odyssey in time travel. Pacific Rim Motion Movie Experience! is the newest feature to play in The Adventuredome’s Extreme Ride Theatre. Without warning, monstrous creatures have risen from the sea, attacked cities and threaten mankind. In a unified show of force, the world’s most powerful nations have joined together and built massive robot fighting machines. In a no holds barred brawl, the last standing massive robot fighter – Earth’s final weapon – takes on the biggest and baddest of the monsters. Buckle up for an intense ride film experience with the heart-pounding action, ground-shaking motion and explosive special effects of Pacific Rim Motion Movie Experience! For more information, contact Krista Gilbertson, MGM Resorts International, kgilbertson@mgmresorts.com​. Steve Wynn’s ShowStoppers at Wynn Las Vegas, named “Best Musical Production Show” by the Southern Nevada Concierge Association, recently unveiled two new numbers as part of the uplifting musical repertoire. Conceived and written by Steve Wynn, ShowStoppers was designed to evolve over time and celebrate the many of the lasting musical theater anthems, including numbers from A Chorus Line, Cabaret, Chicago, Gypsy and more. For more information, contact Meghan Speranzo, Wynn Las Vegas, Meghan.speranzo@wynnlasvegas.com​. Red Rock Resort has launched the ultimate whiskey and cigar experience at Onyx Bar. Located across from Tbones Chophouse, the revamped bar and lounge now features an upscale beverage program specializing in bourbon, whiskey and scotch, along with fine cigars, allowing guests to indulge in the perfect pairing. The venue features bar and lounge seating where guests can enjoy the property’s four diamond service, one-of-a-kind barrel-aged whiskeys and classic hand-picked cigars, making it a great destination for a variety of occasions. A private VIP room with seating for 10 guests is also available. Guests can also enjoy a distinctive barrel-aged Tennessee blend of whiskey, only available at Red Rock Resort. In addition, guests can pair their fine spirits with a collection of handcrafted cigars such as Padron Family Reserve 50 Years Maduro and Oliva Serie V Melanio Figurado, featured on Cigar Aficionado’s list of Top 25 cigars. For more information, contact Lori Nelson, Station Casinos, lori.nelson@stationcasinos.com​. “Clint Holmes: Between The Lines” will debut in the newly redesigned Palazzo Theatre on July 16, furthering the resort’s commitment to a broad spectrum of new entertainment offerings. Holmes latest adaptation, which will run Tuesday through Saturday at 10 p.m., is a culmination of all the artist has gleaned throughout his impressive career. Promising a personal, melodic journey of contemporary hits and traditional standards, as well as original music written by Holmes, his objective was to create a show that “connects with the soul of the audience,” regardless of age or musical preference. For more information, contact Abigail Miller, The Venetian Las Vegas, Abigail.miller@sands.com​. KISS by Monster Mini Golf, a unique rock ‘n roll themed amusement attraction based around the world-renowned band KISS, is now open at Rio All-Suite Hotel & Casino. Guests can now rock n’ roll all night and party every day at Las Vegas’ newest attraction seven days a week (sometimes eight) from 10 a.m. – midnight. For more information, contact Rachel Diehl, Preferred Public Relations, rachel@preferredpublicrelations.com​​.